7505 New Hampshire Avenue, TakA Plus Medical, P.C. (Takoma Park) - Book Appointment Online! 7505 New Hampshire Avenue, TakA Plus Medical, P.C. 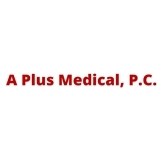 Welcome to A Plus Medical, P.C. We are dedicated to providing high-quality and affordable healthcare to everyone seeking medical attention. Dr. Eric Aigbedion and his diverse staff are sensitive to your health care needs and work to make you feel at home in our newly renovated office. He was excellent; he was thoughtful and Kind, thorough and professional. His staff had a high opinion of him so much so that they recommended that their loved ones see him.